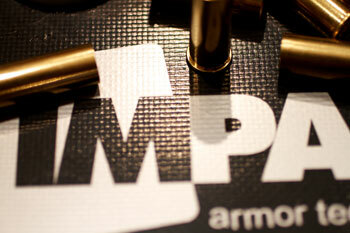 Impact Armor Technologies specializes in the development and construction of custom armor solutions for your unique protection needs. Our in-house production of ceramic strike faces, composite substrates, and spall liners provide custom tailored protection for your application. We can design, build, then test on our own range to guarantee performance while maintaining strict confidentiality in a timely and cost efficient manner. In addition to custom solutions for vehicles and structures Impact is working to provide ready-to-use armor for law enforcement, military, and other first responders. Products like door inserts, tactical shields, clipboards, briefcases, modular wall systems, and more are there to provide the protection our clients demand.